Also why does he ignore Sanchez all the time? I would agree with this. He did not play the false nine/top of the diamond position that we have seen earlier. I would also concur that his starting position was RW, mainly because of his position defensively. He was not playing between Rashford and Sanchez. He was defending to the right with Rash centrally. Offensively the difference between the extremely inverted RW we have played since the early days of Mourinho and a "false nine" is not that big though. Thats what one can see on the heatmap as well. I personally dont believe at all that this is because that we lack a "proper RW", which seems to be the Cafs favorite narrative. I think its a deliberate tactical decision to create numerical advantages centrally, where the focus of our attack was under Mourinho and still is now. How Eriksen plays at Spurs is a good comparison. I get if people want to see a return to the wingplay of old United teams but its probably time to get over the fact that we are not playing like that anymore and probably never will. In a way I agree that it’s tactical but if we take Ousmane Dembele for example he can go central do things but he also is very capable of going on the outside or acting like a winger, something neither Mata or Lingard can do. Dembele mixes it up which is what I feel we need to do better at on that side with Jesse, often it’s quite predictable. So when people say we need a RW I often interpret it as someone like that instead of the old fashioned stick to the wing and cross it in type. Its a little bit of semantics that though. What is a RW really? Are we discussing offensively or defensively? For me its the defensive setup thats decisive. What I thought was clear from yesterday was that Lingard defended to the right, with Sanchez to the left and Rashford through the middle. Semantics again but for me that makes him a RW. That was a clear difference from seeing Lingard defending as a false nine in the middle as he has done before under OGS. Then he has a responsibility for the opponents DM. That was not the case yday. On the other hand, referring to my post above, we have not been playing with a "RW" in possession for a very long time now. And we are not the only top club in Europe doing so. Eriksen and Isco are good examples. Oh, the contraire, isn't it? Goes both ways, IMO. I think it's 2 sets on either side of the fence over compensating for one another after every good/poor performance with OTT praise or OTT criticism. Yeah, more or less agree with your post and bold part is something I posted too. We haven't played with RW even before Solskjaer took over. No, I agree about Dembele. But teams like Barca and City also plays very differently from us and Spurs for example. Their wingers starts much more wide in possession. A player like Dembele is much more suitable to that type of play. One can discuss if its the chicken or the egg here; does one choose tactics first and players secondly. Or the other way around. I think its the first for us at least. Especially under Mourinho that was absoultely the case IMO. Yeah, we don't really have someone on the right who can take players on. It's not so much of a problem that they go inside, but more so that they can't go outside. We haven’t been particularly dangerous attacking for a very long time either. Mainly down to everything funneling through the middle. Easier to defend. We have won the games yes, but majority of those games have been in spite of Lingard, not because of him. He is a pretty nothing player, whether you like to admit it or not. Technically he is very limited and aside from his movement, he brings little else aside from the odd goal (which is expected as a United attacker anyways). If anything he gets off very lightly when it comes to the press etc. He does have a place here as a squad player, but we need better than him in Summer. He was poor yesterday. It may be that because he has not been dropped its getting to his head? I noticed that he doesn't pass to Sanchez and also he was holding the ball for too long and he didn't press. He looked as if he needs a break or just couldn't be arsed. Calm down people! He had a bad game, maybe needs a rest or something? He's been doing well for us since Ole took charge. There is a defining difference. The pro-Jesse lobby don't claim him to be world class, or potentially so, where as the anti mob claim he is championship level and will never be any good. Then there is the foam at the mouth splinter group, who think he should be shot if he ever opens a web browser, but who listens to fundamentalists? The perfect player for that role would be Ericksen but we all know he would cost an arm and leg to obtain. I think he’s improved a-lot over the past 2 years or so and he’s a good squad player to have. We need to upgrade him as a starter though as he’s nowhere near consistent enough. He looked really down in his post match interview to MUTV too. Very unlike him after a win. Fellaini's gone. Seems like this guys gonna be the our next "symbol of mediocrity we shall remove!" according to some fans. Lukaku is obviously the new epitome of everything wrong at the club. If he goes, Sanchez takes that spot. Everyone get their turn. I wonder when it is going to be Dalot's turn. And you're a known Lingard lover/fanboy whom I'm sure is about to tell us about Jesse's movement and great work rate. I'll solve your little debate by saying that, as usual, they were both shite. Hes been good recently but he just lacks that extra bit of quality a first team player should have for a club like us. Average passing,average shooting,average decision making. 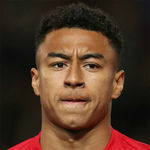 For Lingard it is interpreted differently, but the essence is the freedom granted to him, and his phenomenal running power to cover the pitch. “I like to be on the ball and get in positions to hurt teams. I pop up on the left and right and play the false nine. I enjoy that role. I feel like I have always had that energy since I was a young kid and I can get around the pitch for the full 90 minutes. It’s like a 10 and a nine, especially when we play the diamond formation and that has been working. Well, some of you dont make it very difficult. But I was not. I just wanted to point out that it is a paradox that someone who claim a player is not good enough have not noticed where this player plays. How can you know if he does his job well if you do not know his job?! You see your problem is that you're building your case around a very flawed argument . Yes Lingard drifts inside, but what's his main position he's starting from and from which he operates? There is no fixed position. Names on paper is defensive position according to Solskjaer. Did you read the interview with Lingard in the post you quote? Love it how the moment that article was published you felt ready to defend your stance, before that you went awol. Lingard has a flexible position in team, but it doesn't change the fact he starts and mainly occupies the RW position and if we had a proper RW, it wouldn't have been the case for either him nor Mata. The sole reason we're starting him on the right despite his more free role in team is because we simply don't have a proper RW in the whole squad. I do not really see the point in discussing these type of things. The fact that you, after that interview with Lingard, is still trying to make a case that he played right winger just substantiate this for me; you have already decided. Nothing I say will change you mind. Hell, even Jessie Lingards own description of where he plays did not change your mind, so I do not see the point in wasting any time on discussing it any further. And yeah, how silly of me to support my argument with Lingards own word on the matter! Good luck! See, this is pretty evident for anyone who has watched us play under Ole. We will have a defensive shape that leans toward players having structured and specific jobs, but there’s clearly fluidity to our attack. The heat maps that are brought out again and again really only instruct us in where players operate in our defensive shape. As with Lingard, his most concentrated area is on the right side, but there are large areas centrally and even on the left suggesting he really doesn’t have a fixed position when we have the ball in the final third. This idea that we must bring in a right wing specialist is way off. That player needs to be as comfortable on the left or centrally if they are to be successful in our current set up. We should be looking into how our rightbacks can better exploit the vacated space on our right. Yeah, it's obvious from watching us play, from stats, from the interviews of players and manager than players don't have fixed positions when in possession, especially for the front 3. Anyways that's how most attacking team plays, there is no fixed position. It's just on paper and for defensive shape. Players always interchange and move all over the place. Wouldn’t the fact that if he retreats to RW and tracks back defensively there sugggest he has a defacto setting of operating on the RW. It’s symantics but he is sent out as a RW and allowed to do as he pleases in an attacking sense, popping up where ever he wants but this doesn’t take away from the fact he is deployed as our RW option. No. Set up with and without possession is different. Manager and player both confirmed it, don't think it cane be more obvious than that. I started with a question. If you agree that Lingard did not play right winger that is great. Maybe I misunderstood you. But several of the posters I quoted obviously believed he played right winger something that was not the case.